When Samsung says “Unbox Your Phone,” they aren’t joking. On our doorstep this morning was a large package from Samsung, containing a few goodies that you won’t see in your standard retail packaging. Let’s unbox it, shall we? 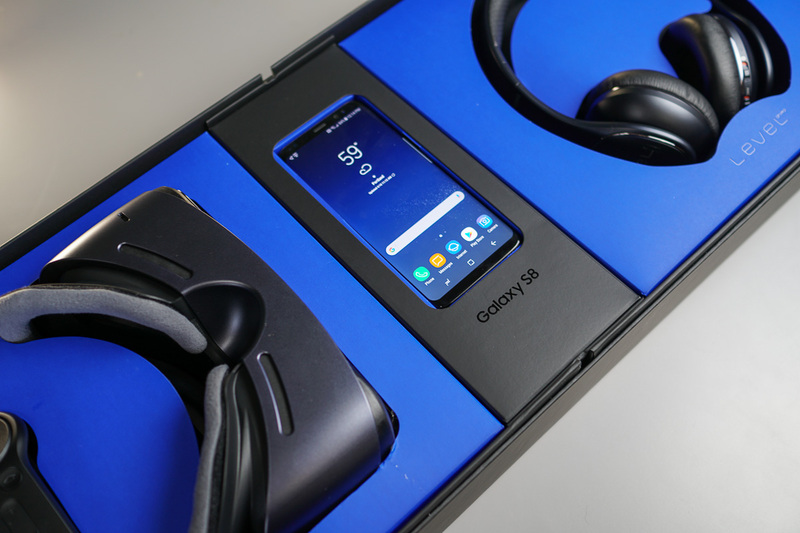 Inside, Samsung sent along a Galaxy S8, Gear VR with controller, as well as a set of Bluetooth Level headphones. Again, this package is not what you’ll find inside retailers on April 21 or what you’ll see if you pre-ordered the phone, but we wanted to share the experience with you regardless. Now that we have one in-house at last, let’s get to reviewing this thing. NOTE: Video mentions that the AKG headphones might not be included in the US. There was some confusion there on our part, but we believe they are in fact included. Sorry about that.